Posted October 25, 2012 by laurielmorrison & filed under Middle Grade Literature, Posts with specific prompts or suggestions for specific assignments, units, and books, Teaching, Young Adult Literature. Why The Dead-Tossed Waves and not the first one in the series? Sorry, The Forest of Hands and Teeth should be on there, too. Not sure why it wasn’t on that version of the list–maybe it was checked out of the school library and unavailable to my students last year so I didn’t list it as an option there. Oh good, I’m so glad! Hope the unit goes well, and thanks for reading! Thanks for sharing! Do you know of any low level dystopian books? Thanks for reading, Maghida! I haven’t done a dystopian unit for a while now, so I haven’t looked into more recent options and I did this while I was teaching at a school with pretty high-level readers. I do remember giving The City of Ember series, Among the Hidden, and Kate Messner’s Eye of the Storm to more reluctant readers. Thank you! 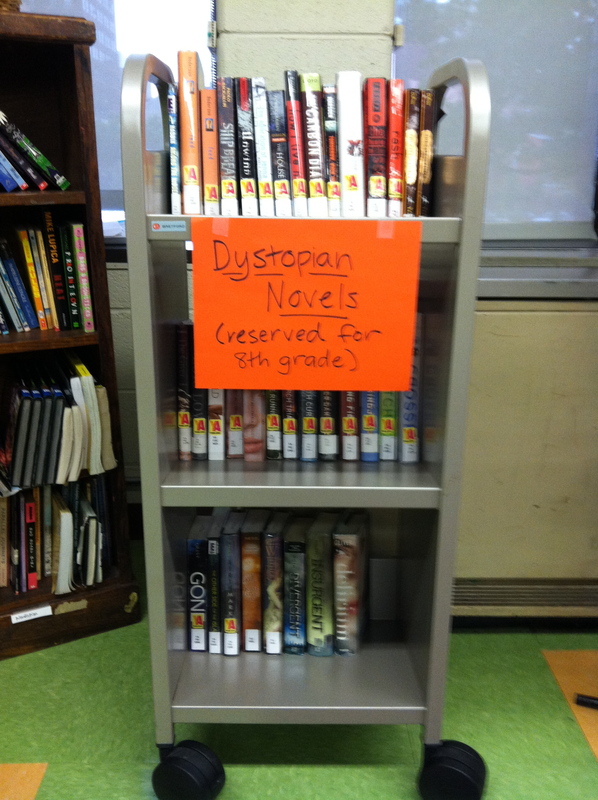 I’ve just begun planning a dystopian lit year for my grade 9s, and some of the novels on your list were not on mine! I wondered if you had any suggestions for dystopian short stories?